Grand champion Hakuho has withdrawn from the ongoing New Year Grand Sumo Tournament due to injuries, his stablemaster announced Saturday, ending his bid for a record-extending 42nd top division championship. The Mongolian yokozuna won his first 10 bouts at the year's opening grand tournament, but suffered three consecutive losses and fell behind sekiwake Tamawashi, who took the lead Friday with his 11th win at Tokyo's Ryogoku Kokugikan. "(His right knee) is swollen and it can't be helped. 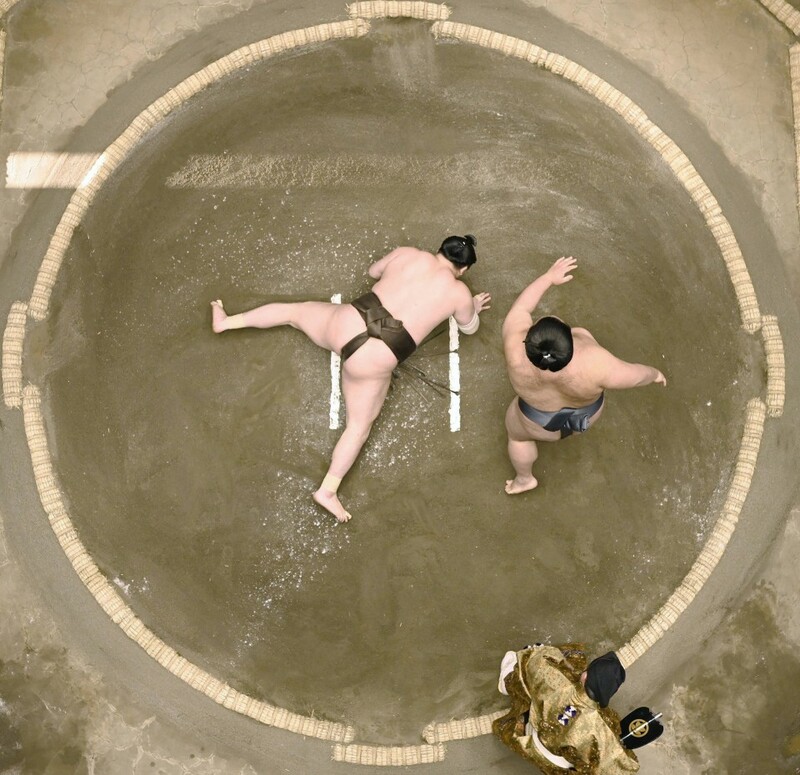 His ankle also seems (to have a problem)," Hakuho's stablemaster Miyagino said. According to Miyagino, Hakuho injured his right knee on Day 4 when he beat No. 2 maegashira Hokutofuji, and hurt his left ankle the following day against No. 2 Nishikigi. "He contacted me (Friday night) saying he couldn't sleep because of the pain. It will ruin his career if he keeps pushing himself," Miyagino said. "It's regrettable, but there's nothing he can do. More than anything, I think he wanted to win the Heisei era's last tournament in Tokyo." Hakuho's absence leaves the 15-day tournament without a grand champion, following Kisenosato's retirement and Kakuryu's withdrawal on Day 6 due to right ankle pain. It is Hakuho's second straight withdrawal and 11th time to miss all or part of a tournament since he began his career in 2001. He sat out the Kyushu meet in November due to knee and ankle surgery after going 15-0 in September and claiming his 41st championship. Ozeki Goeido, Hakuho's opponent on Saturday, will win his scheduled match by forfeit to secure a winning record at 8-6. Tamawashi can clinch his first makuuchi division title if he wins on Day 14, and if his colleague Takakeisho, who handed Hakuho his third loss and is the only wrestler at 10-3, loses. Takakeisho is seeking back-to-back titles following his maiden victory in November.